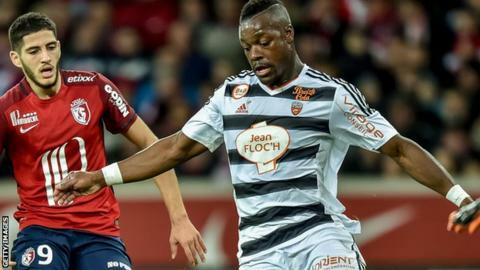 Sunderland's deal to sign Lorient central defender Lamine Kone has "broken down". The Black Cats had a bid accepted for the Ivory Coast defender last week, but they signed Jan Kirchhoff from Bayern Munich on Thursday. "That has finished now, it's broken down. Negotiations have now stopped," said manager Sam Allardyce. Allardyce's side sit in 19th place in the Premier League and have conceded 39 goals - the most in the league.